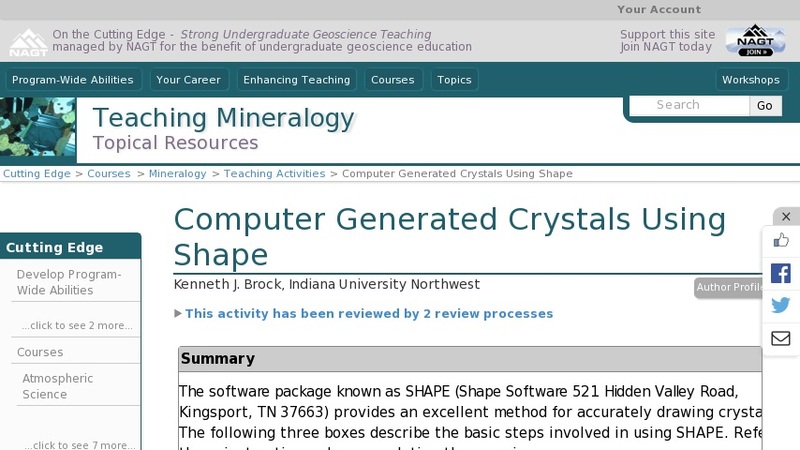 The software package known as SHAPE (Shape Software 521 Hidden Valley Road, Kingsport, TN 37663) provides an excellent method for accurately drawing crystals. The following three boxes describe the basic steps involved in using SHAPE. Refer to these instructions when completing the exercises.